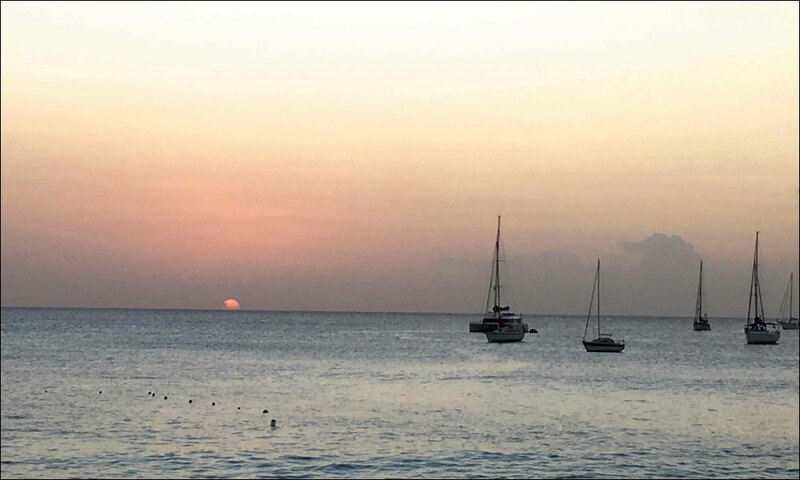 Participants in the Caribbean Odyssey enjoyed not one but two parties on their arrival in Barbados: first an early arrivals party at the Barbados Yacht Club followed by a farewell beach party at the Pirates’ Cove restaurant. 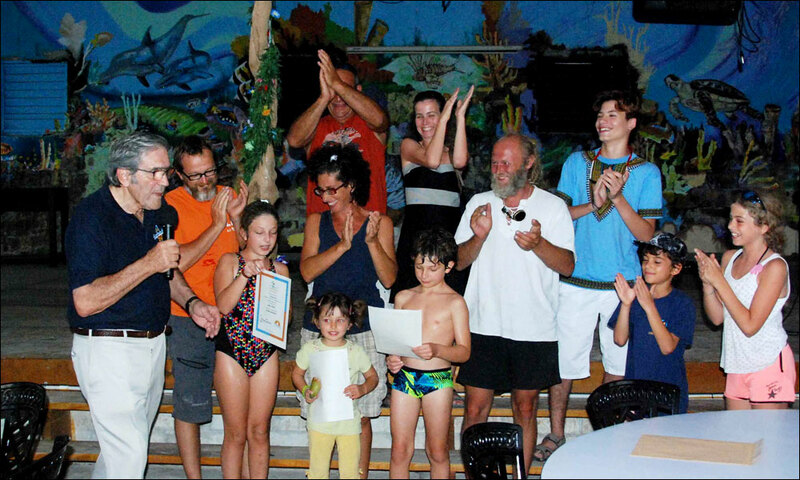 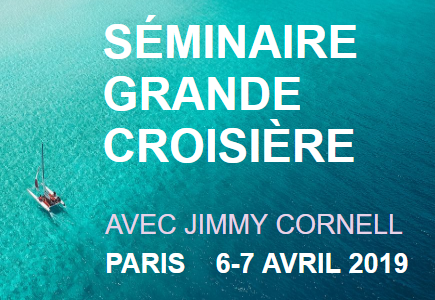 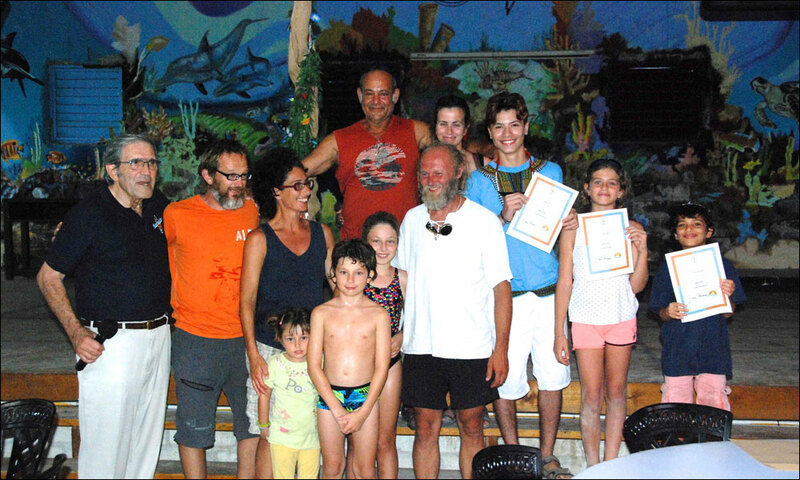 As all the Odyssey events are non-competitive the highlight of such parties is always the award of special diplomas to the children who had crossed the Atlantic. 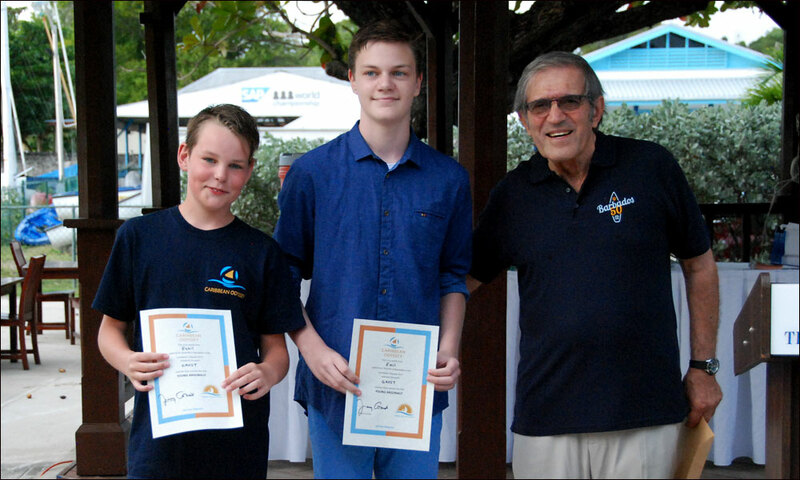 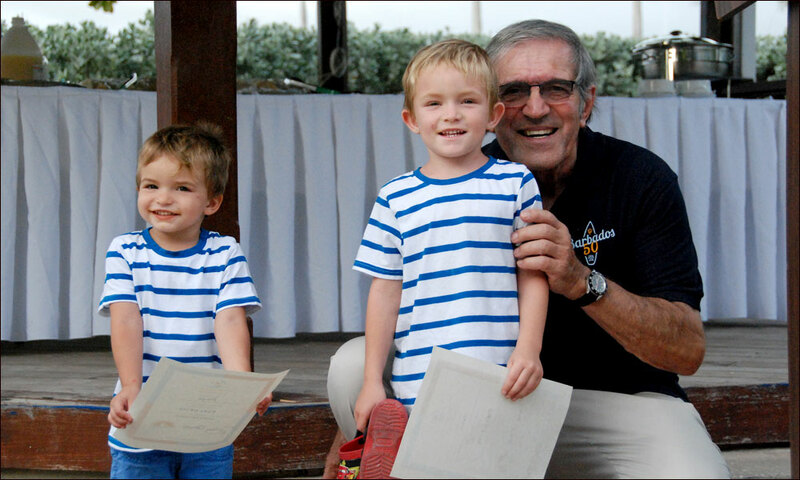 As the first to arrive and also being the youngest in the fleet, John and Diego of the Swiss yacht Edelweiss were first to be honoured by being declared Young Argonauts for their achievement. 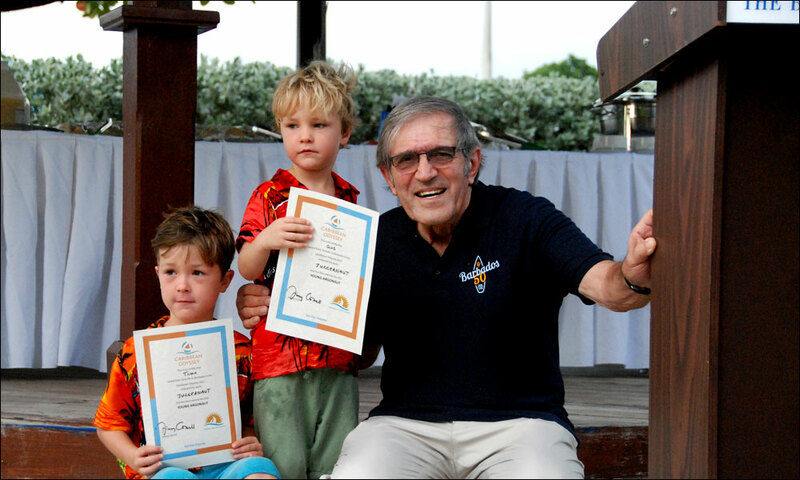 Similar diplomas were awarded to children on the other yachts. 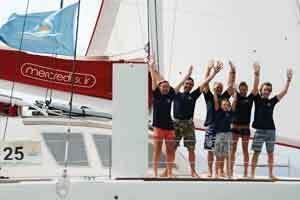 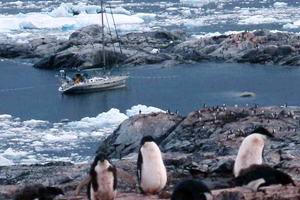 The last two yachts to arrive were Amjad and Paluar, each with three children in the crew. 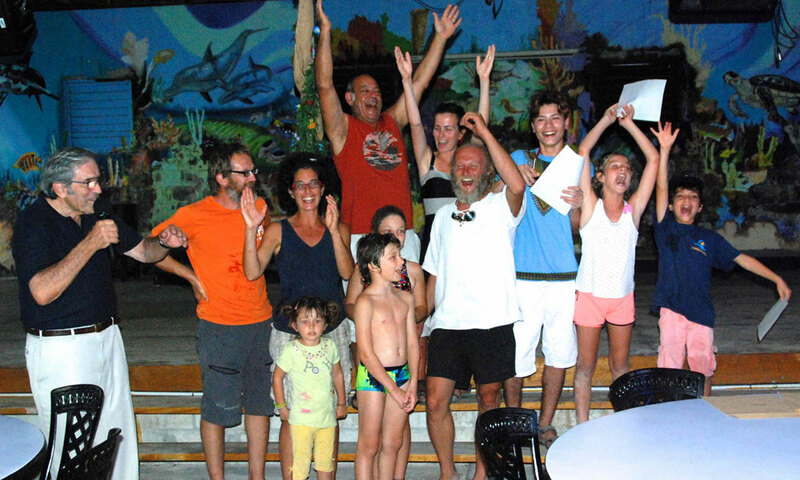 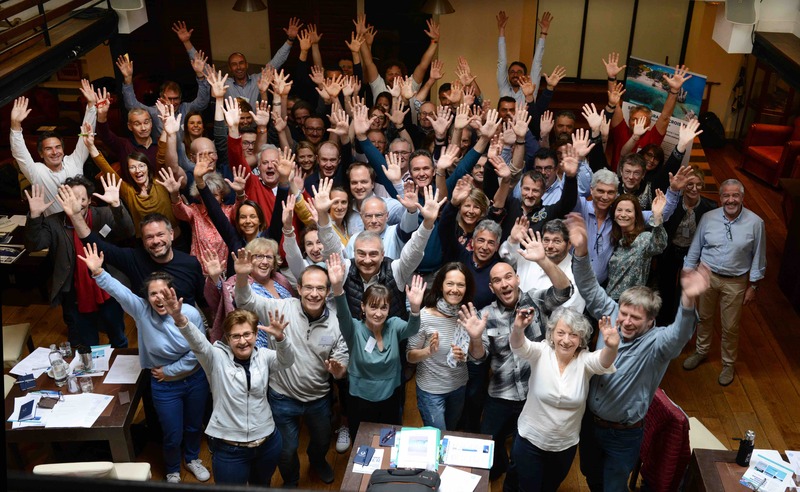 For the first time, it was decided to also honour the oldest crew in this year’s event – that of the yacht Bright Eyes having an average of 70 years. 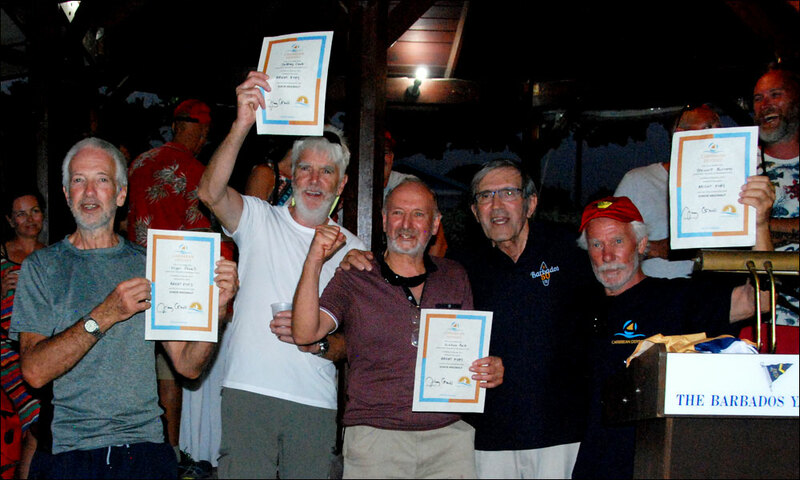 Stewart Burness, Jeffrey Cook, Graham Reid, Nigel Powell were duly awarded the title of Senior Argonauts. 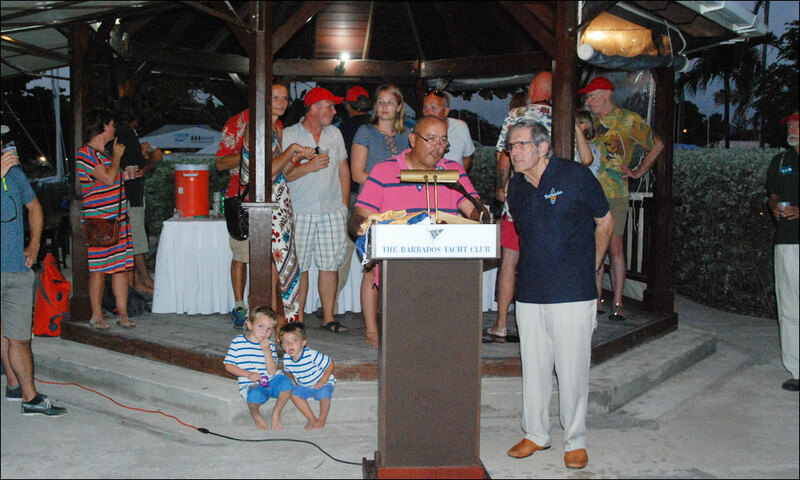 The Caribbean Odyssey was the last of the four events to celebrate the 50th anniversary of Barbados Independence, that brought 73 yachts to Barbados, with a total of 297 crew, among them 55 children under 16. 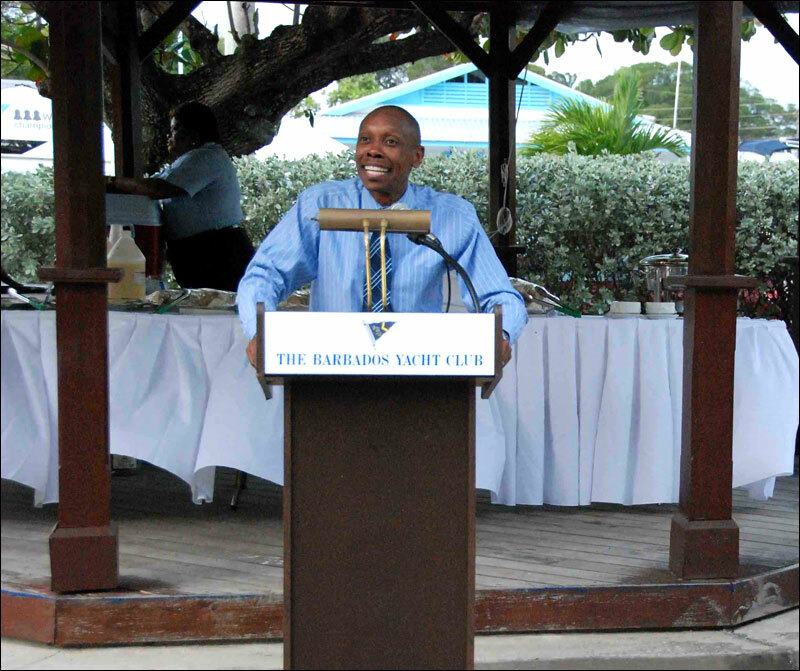 The Barbados 50 project was sponsored by Barbados Tourism Marketing Inc., whose Manager for Sports, Devon Chase, greeted the sailors on behalf of the Ministry of Tourism and the people of Barbados generally. 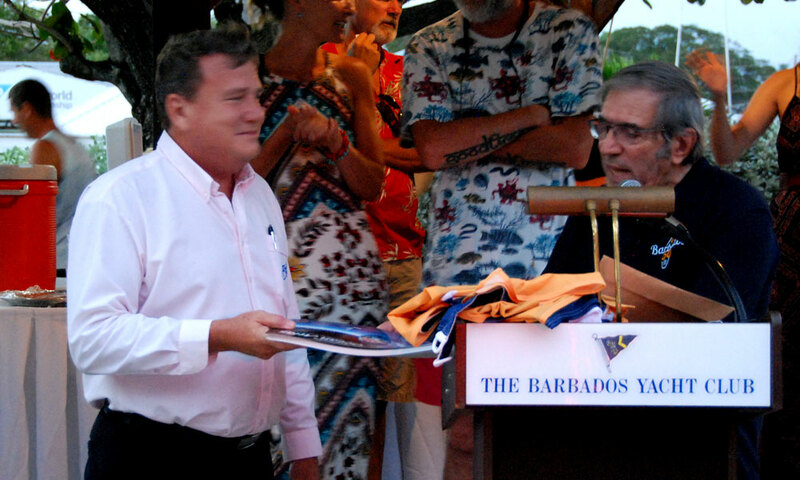 Peter Gilkes, Yachting Consultant for the Government of Barbados, had been instrumental in attracting many international sailing events to Barbados, both professional and amateur, among the latter the various Odysseys organised by Cornell Sailing Events. 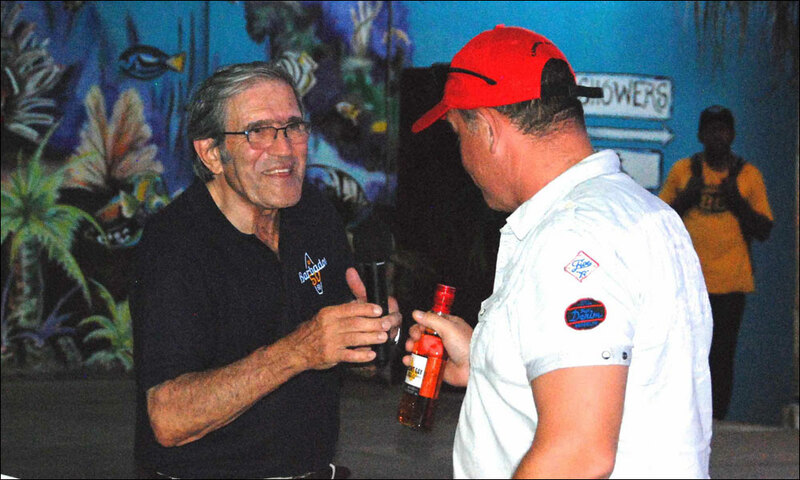 The Barbados Yacht Club has a long tradition of welcoming visiting sailors. 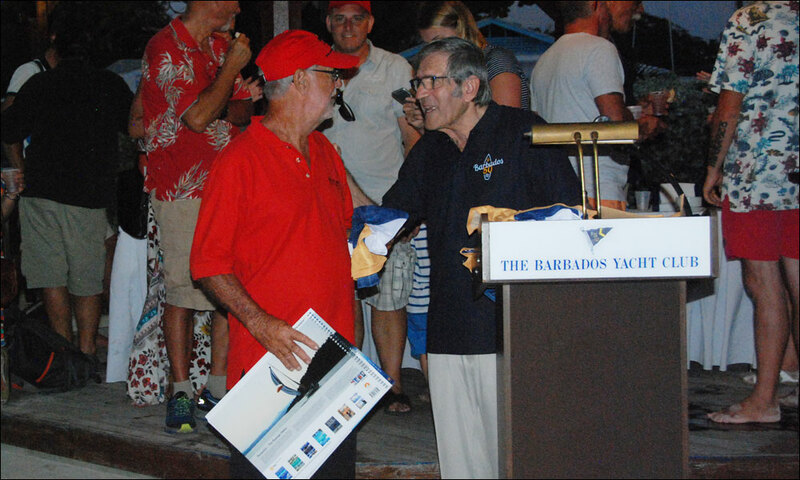 On behalf of all participants, Jimmy Cornell presented the Commodore Geoffrey Evelyn with a special gift. 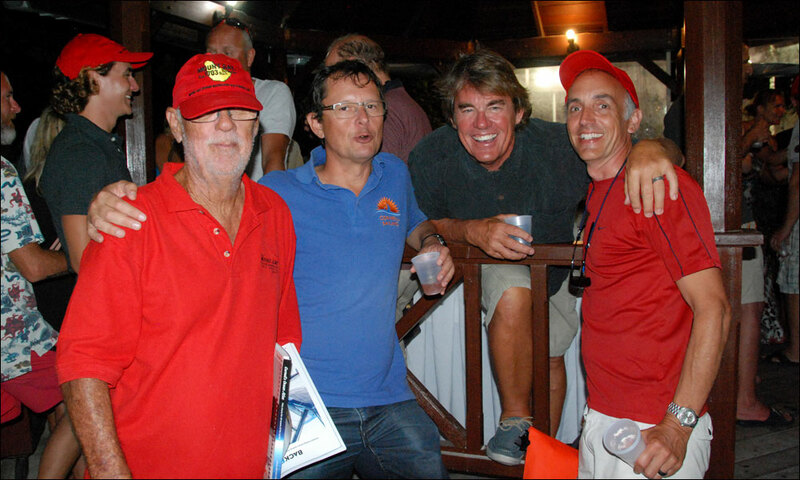 Grateful thanks were also due to Andy Porter of the Barbados Cruising Club who made it a point of being present at the arrival of every yacht, and sparing no efforts in rendering any practical assistance necessary thus ensuring that all these sailors left Barbados with the best impression of true Bajan hospitality. 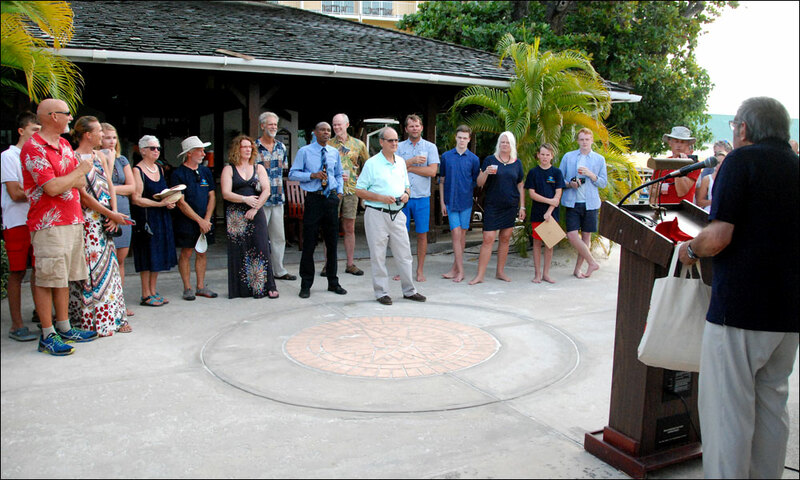 The closing ceremony of the Caribbean Odyssey was a perfect occasion to thank Pascal and Pascale Guiraudou of Cornell Sailing Events for their valuable contribution to the success of all these events. 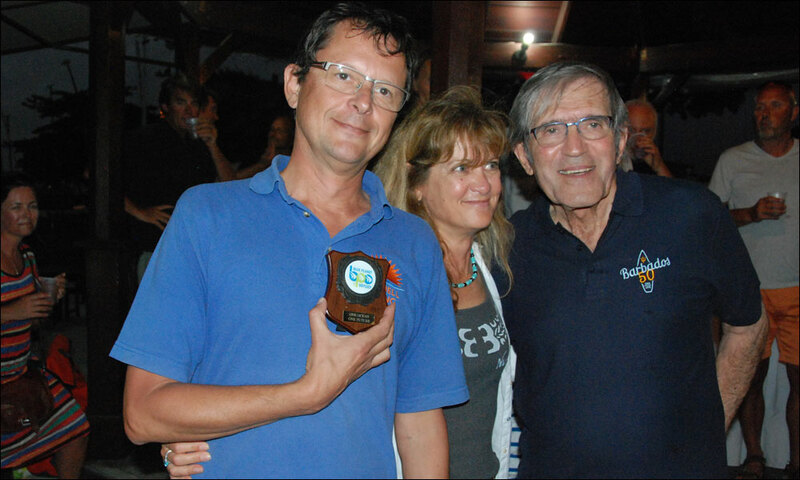 Jimmy Cornell thanks Toni Hügi of Edelweiss for his generous help in assisting other boats in their arrival. 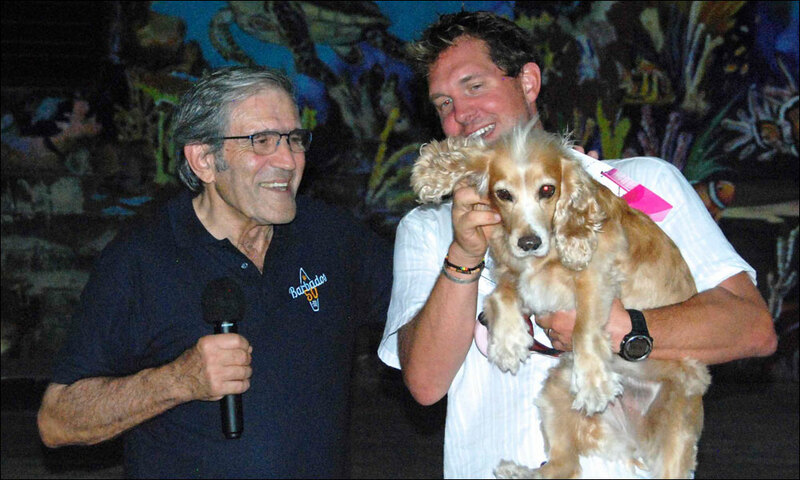 On a lighter note, Fergus Dunipace of Two Drifters accepts a special prize on behalf of his four-legged crew and Canine Argonaut.